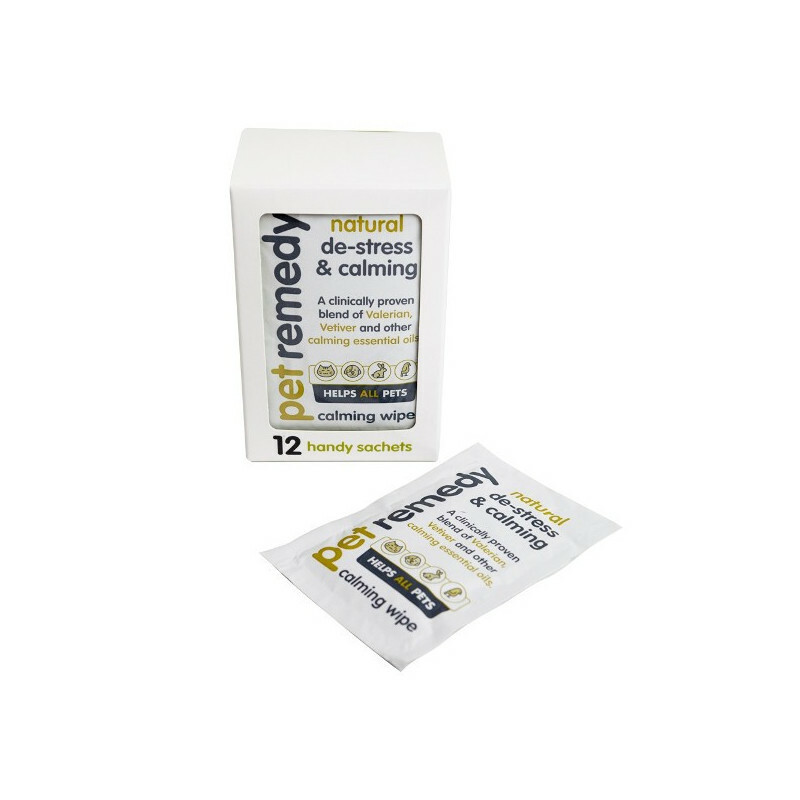 Pet Remedy's natural de-stressing & calming wipes are a quick and natural way of tackling stress and anxiety using a unique treatment of Valerian essential oil, blended with Vetivert, Basil Sweet & Sage. Relaxing, not sedating. Simply wipe on to your hands or directly to the pets face, head or chest. Also wipe on to bedding, carpet, soft furnishings or in the car. The Pet Remedy calming sprays are ideal for all pets including dog stress, cat stress, rodents, horses, all other ammals and birds.It will also have equally beneficial effects on humans! Use in conjunction with the Pet Remedy plug-in diffuser and sprey for best results. Active ingredients in Valerian are Valerinic acid and Valerenol. Clinical studies have shown these substances de-stress and calm pets by enhancing production of a neurotransmitter called GABA (Gamma Amino Butyric Acid). GABA has an inhibitory effect (ie. Calms the nerve); and is a natural chemical produced by the brain, transmitted from nerve to nerve as a chemical calming message when the body is stressed. A study in the Neuropharmacology journal (2009) shows GABA receptors having an affinity for Valerinic acid and Valerinol, and shows them to have a marked anti anxiety effect in mammals. The diffuser is ideal for all pets including horses, dogs, cats, rabbits, rodents, and other mammals. It will also have equally beneficial effects on humans! 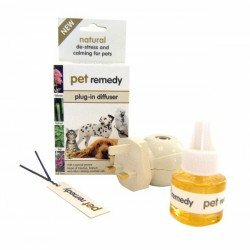 Pet Remedy's natural de-stressing & calming plug-in diffuser is a new and natural way of tackling stress and anxiety using slow release technology. Using a unique treatment of Valerian essential oil, blended with Vetivert, Basil Sweet & Sage, it simply relaxes, not sedates. Refill packs available. 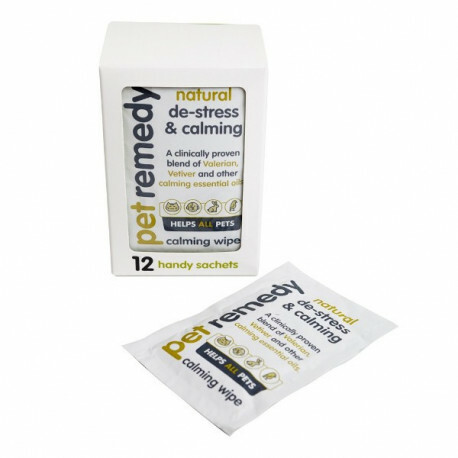 Pet Remedy's natural de-stressing & calming sprays are a new and natural way of tackling stress and anxiety using a unique treatment of Valerian essential oil, blended with Vetivert, Basil Sweet & Sage, it simply relaxes, not sedates. Available in 200ml and handy refillable 15ml bottles.